Afternoon tea will be super traditional, serving up homemade scones, jam and cream (your choice of jam or cream first! ), cake and finely cut sandwiches. 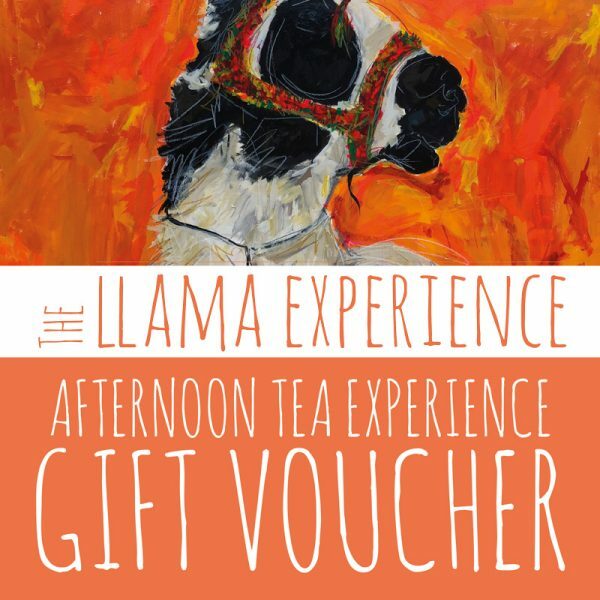 First off your experience starts with herding the llamas into their stable, you will be given lots of advice and guidance meeting and greeting your llama, we are a couples experience only (minimum age 14) so you will have exclusivity to Miguel and Jiminey, Luca will be led by Nicola. We halter them up and groom before taking a stroll around our farmland which takes around 40 minutes. You will be leading your own llama who will often dictate the pace and stop many times along the way to check out something growing overhead or a potential predator lurking in the bush. Highly sensitive, their huge ‘banana’ ears give them acute hearing and make the walk all the more interesting! 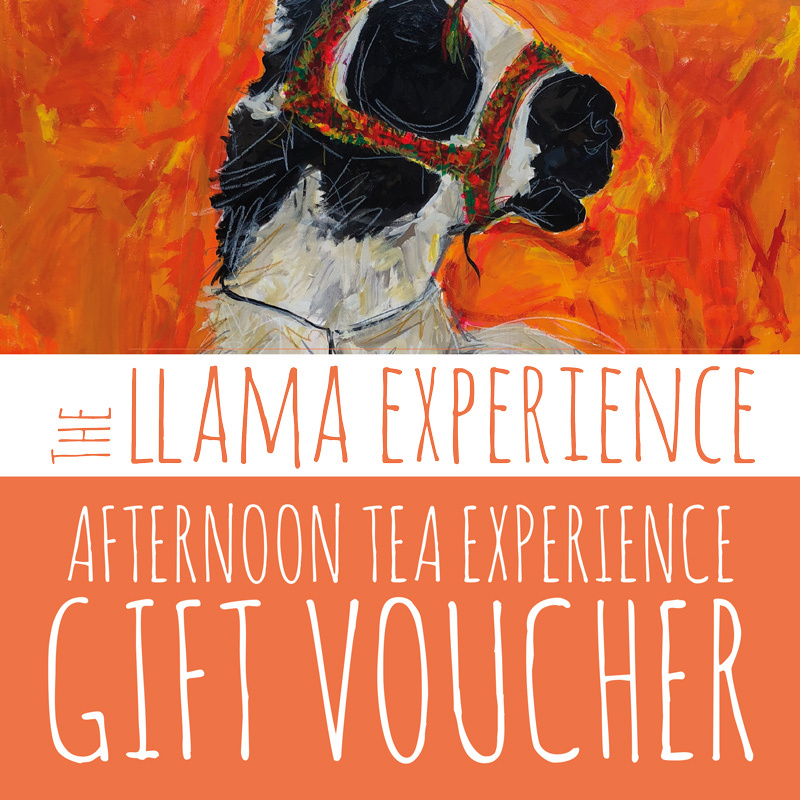 On our return, we turn the boys out into the paddock and you then go and chill either on the deck or into the well equipped Llama Lounge with crockery from Liberty, vintage cutlery, antique club chairs and original art by local artist Fenella Beauchamp. 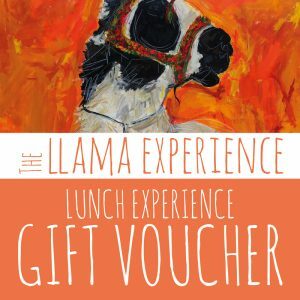 The llama Lounge opens its safari-style windows and doors directly into the llamas’ paddock, and it isn’t uncommon for one or more of them to make a personal appearance, as curious as they are. Your stay with us will be for around two-three hours with secure private parking and male & female restrooms facilities are available. • We can cater for allergies and vegetarians, please advise us in advance when booking. • Suitable footwear is a MUST!! trainers/walking boots & wellies if wet. NO open toe shoes allowed. • No Dogs please, the Llamas will frighten them. • Ladies & Gents restrooms available. • If you have disability please call me to discuss. • This is an experience for 2 people aged over 14 years. • Your stay will be 2-3 hours. • We have a selection of cards and gifts for sale & accept card payments for merchandise. • Let me know if you are celebrating something special. • We can collect you from Kettering or Corby train stations Kettering £20 return Corby £10 return.